Not planning to buy soon? Please keep reading to see why this news can still be important to you. • The standard loan limit (also known as conforming loan limit) rose by 6.9% to a maximum amount of $484,350 in low cost counties like Kern, Riverside and San Bernardino for Conventional and VA Loans. In certain high cost areas like Los Angeles and Orange Counties, the new limit is $726,525. FHA Loan limits in low cost counties like Kern, Riverside and San Bernardino will be $314,817. • The percentage increase is equal to the national appreciation average over the last year. • Loan limits were kept high for 10 years, even as values declined. Now that the market has surpassed prior peaks, loan limits are on the rise again. • Purchase a higher priced home with more financing options, possibly including lower rates. • Refinance an existing, higher-rate “jumbo” loan and possibly drop mortgage insurance premiums, too. • Combine a 1st and 2nd mortgage. If you have questions about what this change could mean for you, please reach out. And if you have friends who may benefit from this news, please pass it along. I’ll be honored to help. Congress has failed to approve a Continuing Resolution (CR) providing funding for most government operations. Therefore, spending authority for most of the government expired at midnight on January 19, 2018. 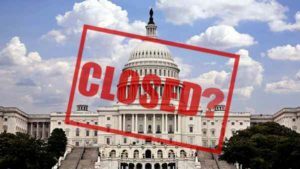 Until legislation providing for funding is signed into law, many offices and programs of the federal government are now shut down. 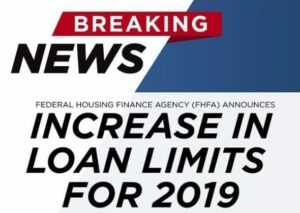 This means many, but not all, government programs, including some that impact federal housing and mortgage programs, have been suspended or slowed due to the lapse in government funding. The Office of Management and Budget (OMB) requires each agency to have contingency plans in place. The information below is based on NAR staff review of agency contingency plans for the current shutdown and past experience with previous shutdowns and near-shutdowns. An extension of the National Flood Insurance Program (NFIP) was attached to the CR that Congress failed to pass. This means that for the duration of the shutdown, the NFIP will not be able to issue new or renew flood insurance policies. However, existing policies will not be affected until 30 days after their expiration date. Homebuyers will also be able to assume existing policies and claims will continue to be processed and paid as usual. For more detailed information, FEMA’s latest guidance to insurance companies can be found here(link is external). During previous shutdowns, Fannie Mae and Freddie Mac have continued normal operations, just as their regulator, the Federal Housing Finance Agency, since they are not reliant on appropriated funds. Fannie and Freddie are expected to announce relaxed procedures that would permit closings to go forward without federal verification of Social Security numbers and IRS tax transcripts. However, lenders would still have to obtain federal verification of both before the GSE’s will accept loans for purchase. Any relaxed requirements would not apply to loan modification re-financings. The U.S. Department of Agriculture will not issue new rural housing Direct Loans or Guaranteed Loans. Scheduled closings of Direct Loans will not occur. Scheduled closings of Guaranteed Loans without the guarantee previously issued would be closed at the lender’s own risk. The IRS is closed and has suspended the processing of all forms, including requests for tax return transcripts (Form 4506T). While FHA and VA do not require these transcripts, they are required by many lenders for many kinds of loans, including FHA and VA, so delays can be expected if the shutdown is protracted. We have received indications that many loan originators are adopting revised policies during the shutdown, such as allowing for processing and closings with income verification to follow, as long as the borrower has signed a Form 4506T requesting IRS tax transcripts. On loans requiring a Form 4506T Fannie Mae and Freddie Mac are expected to adopt relaxed provisions allowing closings but subject to tax transcript verification before the GSE’s purchase the loans. The Social Security Administration is closed and has suspended most customer service functions. According to the SSA Contingency Plan, verifying Social Security numbers through the Consent Based SSN Verification Service will also be suspended during the shutdown, a further complication for mortgage processing. As with IRS income verification, policies vary among lenders, with many choosing to exercise forbearance during the shutdown period subject to subsequent verification. Fannie Mae and Freddie Mac are expected to adopt policies to allow for closing subject to subsequent verification and before GSE purchase of the loan. Now that you have made the decision that you would like to buy a home there are some very important Do’s and Don’t that you need to keep in mind in order to prepare yourself for a smooth mortgage approval process. The slightest misstep could cause significant difficulties and delays on the closing of your home. Mortgage guidelines have some strict rules that need to be complied with in order to get you loan approved and it is you loan officer’s job to help guide you through the process and maneuver you around potential road blocks that could lead to a mortgage denial. These Do’s and Don’t are designed to maximize you FICO scores, minimize your debt-to-income ratios, and assure your funds to close are allowable. Do keep working at your current employer. Don’t deposit and cash in you bank accounts! 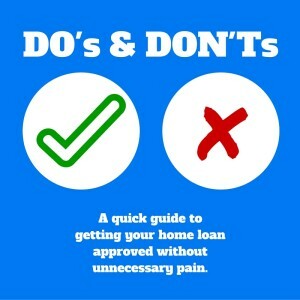 These are very important rules to following in the before and during you home loan process. For more guidance to help you navigate to a fast and easy closing please call Dean Henderson at 661-726-9000. Surprise! Heroes Saved Over $10 Million Using Homes for Heroes® from Homes For Heroes on Vimeo. As our market tightens up and seller concessions are becoming more difficult to get I am getting many questions about what to ask for when writing a VA loan offer. There are several fees a Veteran is forbidden to pay for in a VA loan financed transaction regardless of their willingness to pay. When writing an offer on a home using VA financing a buyer must ask for at least a minimum amount of concessions to cover the VA Buyer’s Non-Allowable costs and Fees. The actual percentage you request is negotiable but make sure you have enough to cover all the VA non-allowables. Here is a summary of allowable and non-allowable costs from The Department of Veteran Affairs. Generally, the veteran may NOT pay any of the fees listed below. The seller must pay the non-allowable fees. Amortization schedules, Truth-in-Lending fees, etc. For purchase transactions, the cost of required repairs and inspections must be paid by the seller. This policy applies to all purchases, including purchases of REO properties. VA does not permit the veteran to pay for repairs other than minor termite damage repairs. 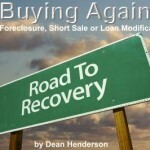 Waiting Period to Buy Again After a Foreclosure, Short Sale, or Loan Modification? One of the most common questions I get asked these days is how long does someone need to wait before they qualify for a new mortgage if they have experienced a foreclosure, short sale or loan modification in the past? Currently, mortgage underwriters are treating all of these events the same. While re-establishing credit and meeting other lending guidelines will be necessary, there are minimum waiting periods for getting new mortgage loans after these significant negative credit events. Below are the timelines for obtaining new loans for Conventional Conforming Mortgage Loans (Fannie Mae and Freddie Mac), FHA (Federal Housing Administration Insured Loans), USDA-RD (United States Department of Agriculture Rural Development Loans) and VA (Veterans Administration Guaranteed Loan). These are the most common time frames. There may be some rare exceptions to these timelines. These basic guidelines do not serve as a substitute for a discussion with a mortgage professional about your specific situation. 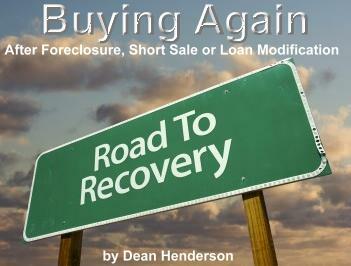 The waiting period to buy again after a foreclosure, short sale or loan modification is 7 years. This timeframe may be reduced if the previous short sold property or modified loan was never late and the borrower is putting a large down payment on the new mortgage. How the previous lender has rated the previous mortgage on the credit report can also have and impact on the waiting period. The waiting period to buy again after a foreclosure, short sale or loan modification is 3 years. How the previous lender has rated the previous mortgage on the credit report can have and impact on the waiting period. FHA does provide some very rare exceptions where the time frame can be reduced which, for example, includes the death of spouse who was the primary wage-earner at the time of the foreclosure, short sale or loan modification. Like FHA loans the waiting period to buy again after a foreclosure, short sale or loan modification is 3 years. How the previous lender has rated the previous mortgage on the credit report can have and impact on the waiting period. VA has the shortest waiting period. The waiting period to buy again after a foreclosure, short sale or loan modification is only 2 years. If the previously foreclosed property was a VA loan there may be some issues regarding the reinstatement of the veterans full entitlement benefits. 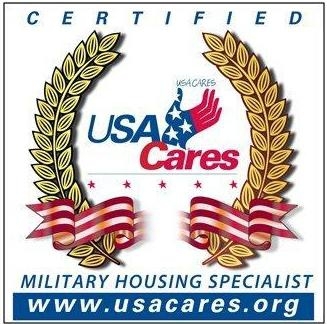 This can be determined when we order a new Certificate of Eligibility from the US Department of Veteran Affairs. To find out more specific information regarding these guidelines call Dean Henderson at 661-726-9000. Changes to VA Funding Fee! If you have any questions about this, or would like to see if you or a loved one is eligible for a VA loan – or any other type of mortgage, feel free to contact me directly any time.